It's not any hidden fact that banks have become an important part of our life. We just can't imagine life without banks. If you want to save your hard-earned money, then you can't find any better option than a bank. Come on, what can be better than the fact that in banks, your money is completely secure and you earn interest on your saved money. Along with the saving money, the bank loans are nothing less than a boon for us. We can take loans to get the things that we desire to get. No need to compromise at all. All the plus points of the bank are the reasons why the banking sector is following the up curve rapidly. 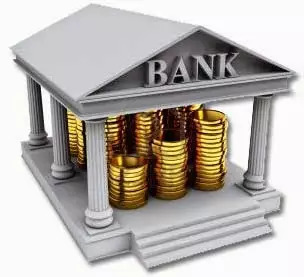 Talking about the Indian banking sector, one has got many options to choose from. The interest rate that you get on your saved money, the interest rate that you need to pay on your loan amount, varies from one bank to another. If you are living in India, then you must be curious to know about top banks available for you, right? HDFC is the largest private bank in India. This bank was incorporated in August 1994. As of December 2012, HDFC Bank had 2,776 branches and 10,490 ATMs across 1,399 cities in the country. State Bank of India was established in July 1955 with the intention to provide top-notch banking services to people living in India. With more than 16,000 branches in the country and 8500+ ATMs, the SBI is serving the Indians very well. Since this is a Government bank, so it works on the ways to provide maximum facility and benefits to its customers. Six Associate Banks merged with SBI recently. Customer service is not so good at comparing to other banks. With its first-class service and proper care for every single customer, this private bank has been following the up curve in customers count. The ICICI bank is known for providing speedy service and good friendly staff. It has more than 1400 branches and 4600 ATMs. The bank is known for best internet facilities. Axis bank was established in the year 1994. It has 729 branches and 3171 ATMs in the country. It is one of the most popular banks in India. The bank is popular due to the quality of service and customer support is amazing. This Indian state-owned bank was established in the year 1908. It has around 4261 branches and 2000 ATMs across the country. After SBI, it is 2nd biggest public sector bank in India. The bank is also known for a good customer and atm service. Punjab national bank was founded in the year 1895 and is now based in New Delhi. It has more than 5000 branches across 764 cities. The bank serves more than 37 million customers which is more than enough to speak about the popularity of bank. This bank has been categorized by RBI as "other public sector bank". It was established in the year 1964. It has more than 1594 ATMs and 1000 branches which include some overseas branches as well. This bank was founded by Late A Subba Rao Pai on Jul 1, 1906, in Mangalore. As of December 2011, this bank had 3564 branches across different cities of India, and 4000 ATMs. Bank of India is an Indian state-owned bank which was founded in the year 1906. As of 21 April 2012, 4187 branches which include the 52 branches that are outside India. It had 1679 ATMs at that time. Of course, the count is more now. The last one in this list of top 10 banks in India, is the Union Bank of India. This bank was established on 11 November 1919. The bank has around 3,200 ATMs in the country. Hdfc bank is the best bank in India. Icici is pathetic, only money making is their motto. When it comes to providing service they are a big zero. Punjab national bank is the worst bank in the world... Pnb sarupeta's staff are very very bad. THE SERVICE OF STATE BANK OF INDIA NAVAL BASE BRANCH IS VERY VERY BAD, BEHAVIOUR OF STAFFS WERE NOT GOOD. In my experience Bank of India stands first above all in Customer Service with great competency in interest rates as well as adopting new technologies. Axis bank is best and best bank in Everything. Recent very bad experience, I can even say worst experience with ICICI Internet banking and Customer Services. My NRI account internet banking was locked to update KYC details, without any kind of alert or reminders. Do we carry all the documents with us during our business trips? How they could do This? I too have similar worst experience with this ICICI Customer Services and even few staffs and even Branch Manager. STATE BANK OF INDIA Has VERY VERY BAD SERVICE. Worst Bank of India. i have seen how he treats his clients and i have experienced it myself. THE SERVICE OF STATE BANK OF INDIA NAVAL BASE BRANCH VISAKHAPATANAM IS VERY VERY BAD, BEHAVIOUR OF STAFFS WERE NOT GOOD. Fake rating I think SBI is the worst bank in terms of customer satisfaction. Strongly disagree. Except to net banking service nothing is good. KVB is the best bank..its not in the list. SBI bank is very poor in terms of behavior of the employees.They don't respect customers.There should a customer help centre in bank where they can say about it. I am not satisfied with SBI, i have account in this bank this bank and i regret for having account in this bank and looking other good bank. karur vysya bank also giving best services from 100 years. Sir pls update its old list. The credit if SBI is it is available in extreme remote places. good list of banks in India. But you should update private and public sector banks separately. striving to become the leader something that gives hopes and surly to Indian economy and citizen. But proud to be an axis bank account holder that they provide an awesome service towards the customer support. To praise SBI Bank is No.1 and to support other bank by this article writing, I am wondering how much this website got from them. Stop writing nonsense. Some people are forgetting here that in public sector banks especially sbi is facing staff shortage and the available staff is doing high risk job that too is too much,that has to affect the customer service.quality reduces when quantity is higher. SBI IS A GOOD BANK. Great! Bravo! Yes what you said is absolutely true; due their attitude I closed my account. Mr. Navneet for your kind information bankers don't get salary from your money. Your money is deposited in your account.not in account of bankers.bankers provide financial services to people for which they get salary.don't talk nonsense. It is for bankers your money is kept protected. HDFC is the best bank India. very helpful, keep on with more information, please also give tips for foreign transfer of money. all banking service provider are fools they are not providing proper service.